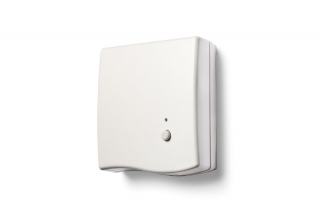 This wireless receiver can be used with the following OpenTherm capable Honeywell Heating Controls Sundial RF² Pack 5 and the evohome multi zone heating system. OpenTherm provides more precise control on the boiler through the control of the gas valve. It allows the amount of heat provided by the boiler to be controlled to match the varying demand signal. By reducing the flow temperature to a minimum as it leaves the boiler, the return temperature is kept below the dew point (55oC) whenever possible, thus allowing the boiler to operate in condensing mode.